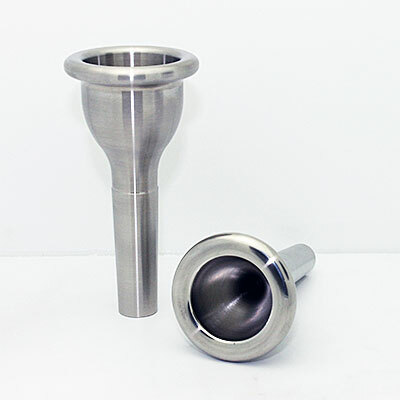 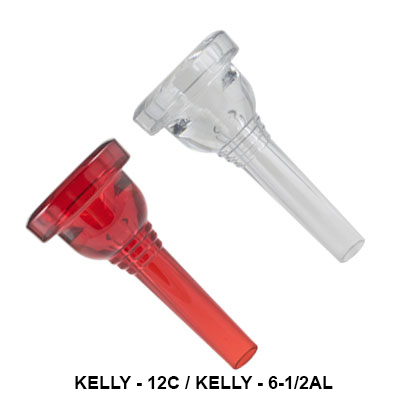 Our Small-shank Trombone/Baritone Mouthpieces are manufactured entirely from our indestructible & comfortable Lexan material! 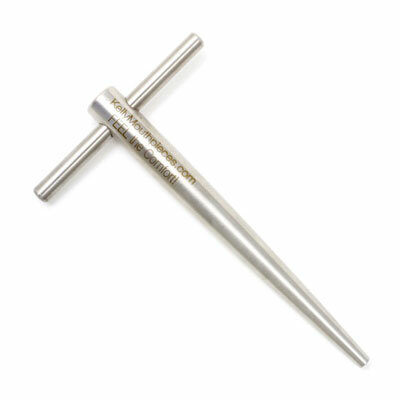 And, colored too! 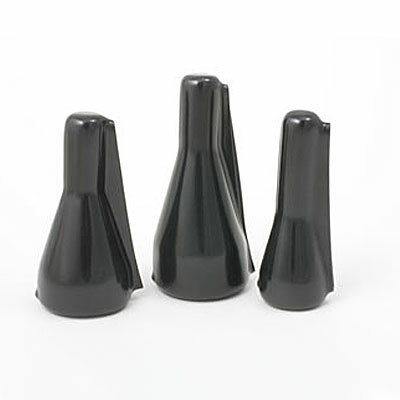 Four cup sizes available - listed from smallest to largest! 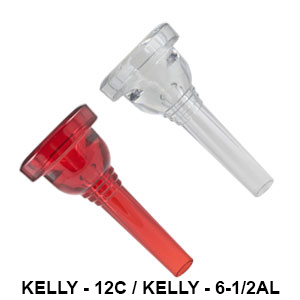 KELLY - 12C - Our smallest cup - Ideal for beginners or Lead-Trombone! KELLY - 6-1/2AL - KELLY's music-industry standard! 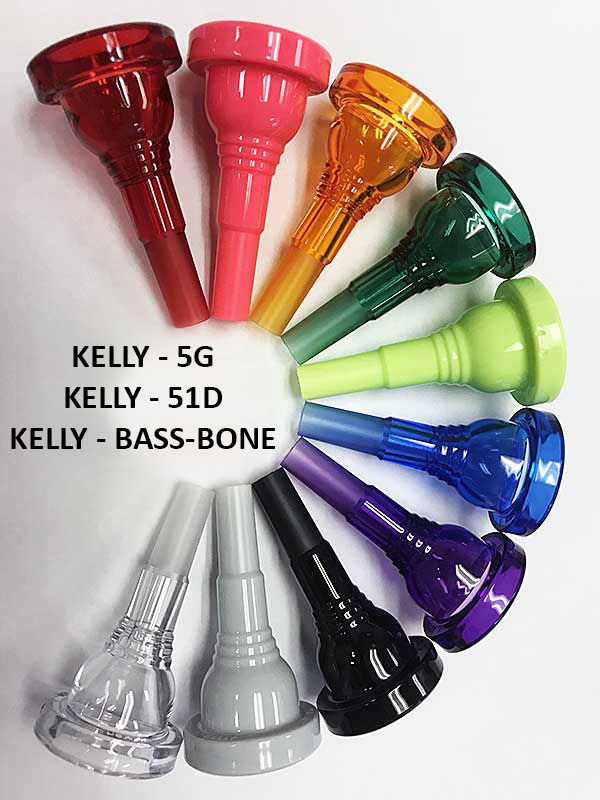 KELLY - 5G - Our favorite symphonic Trombone mouthpiece!